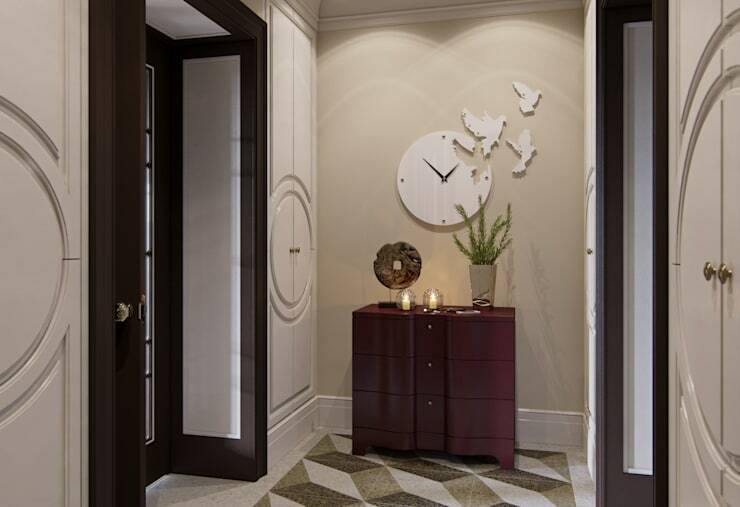 However, these corners needn’t sit by the wayside while other areas are decorated and adorned to enhance your abode. In fact, corners can offer a range of useful opportunities, and we’re going to show you how. Bench seats are ideal for awkward corners as they often come in a range of long and linear designs. 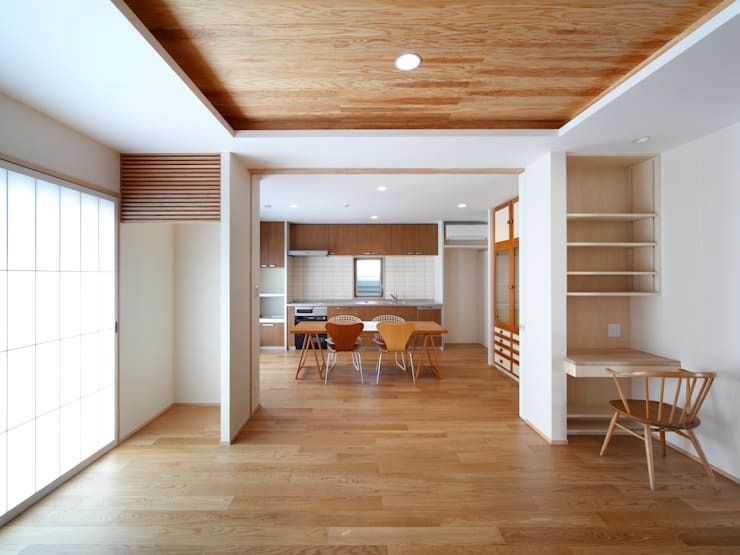 This means that take up minimal space, while still transforming your area from burdensome to useful! Lighting can enhance and brighten a space with ease. 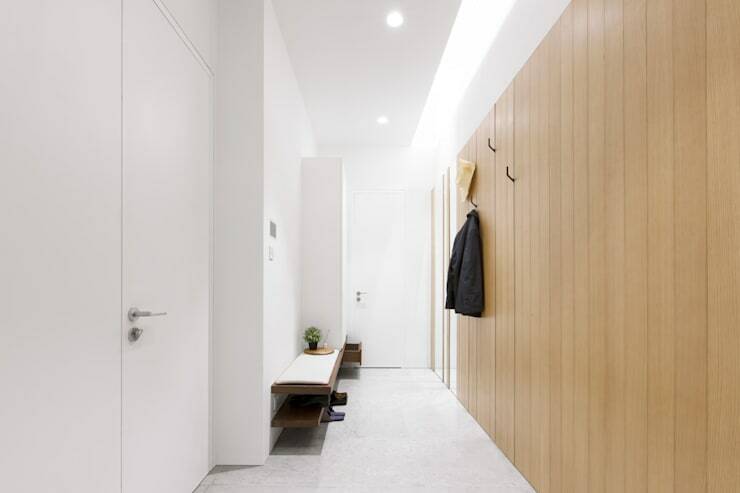 In this awkward entrance corner, we see the designers have implemented a wall-mounted shelf small stool, freestanding lamp and circular mirror. Adding plants to your corner will brighten and enlighten your space. 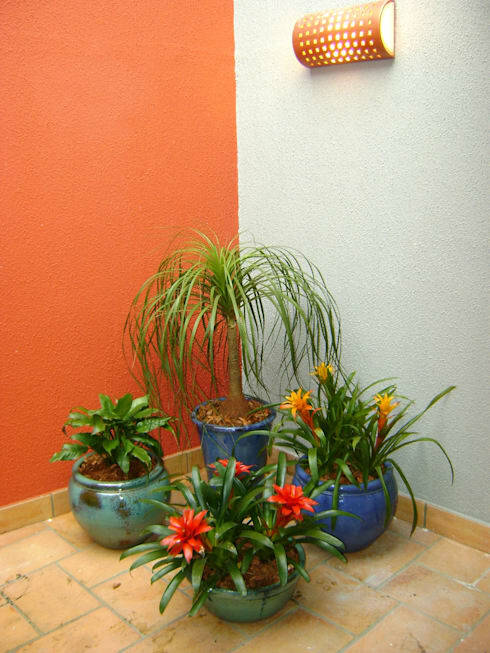 Consider painting a wall a bright colour too, which will enhance the overall impressiveness of your plants and create an eye-catching feature. 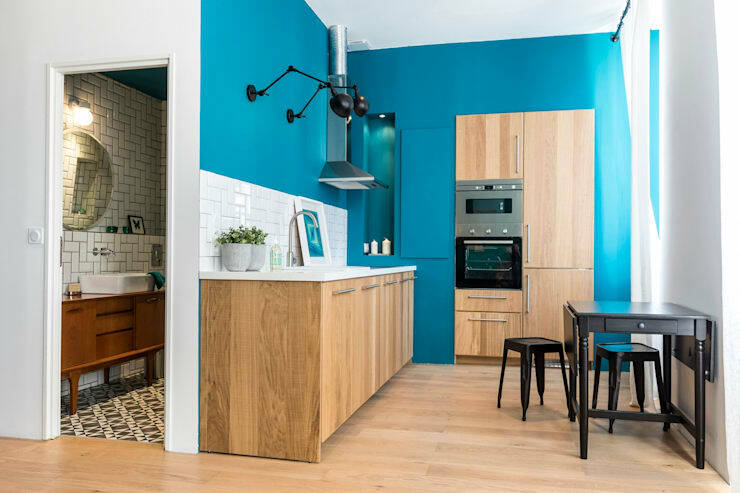 In this corner we see that the designers have included the dining table. What might have been an awkward corner is now a handy eating area, with built-in shelving for added convenience. 5. How about a workspace? This room contains two awkward corners that have both been utilised in very smart ways. To the left we see a storage cupboard, while the right offers a neat and tidy workspace that is seamlessly positioned to offer a handy home office. 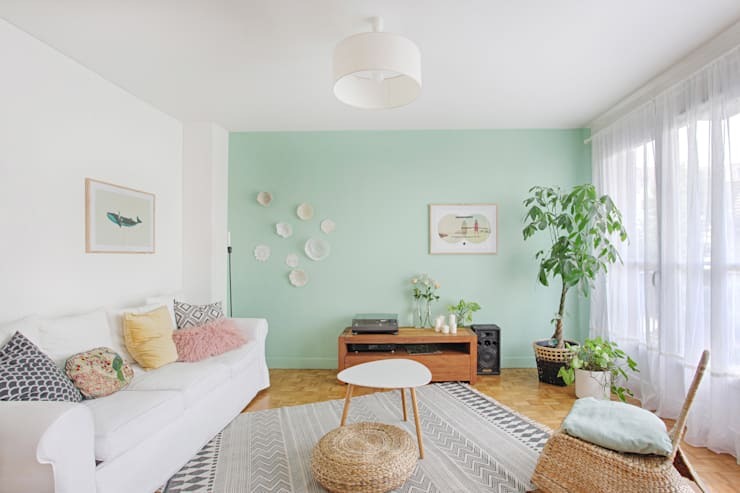 Much like the collection of plants we looked at earlier, this setup boasts a single tree that works beautifully, while bringing life and energy to the room. What might have otherwise been a boring and awkward corner is now replete with some small shelves that make space for candles and are able to be illuminated with ease. Think bespoke with your cabinets and make your awkward corner work for you. 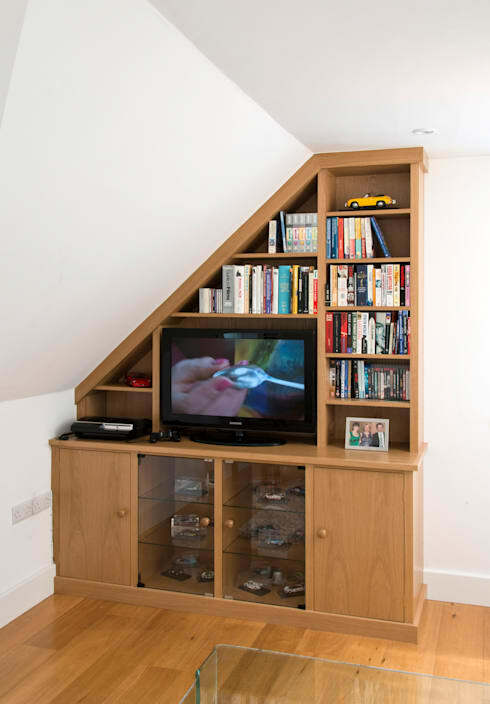 This customised setup has been perfectly designed to fit in this sloped ceiling corner, and looks effortlessly chic. A console table can sit in an awkward corner space, while providing an eye-catching feature, along with plenty of storage for mail, umbrellas, candles and more! Lastly, we check out a thoughtful solution that looks excellent and works brilliantly. 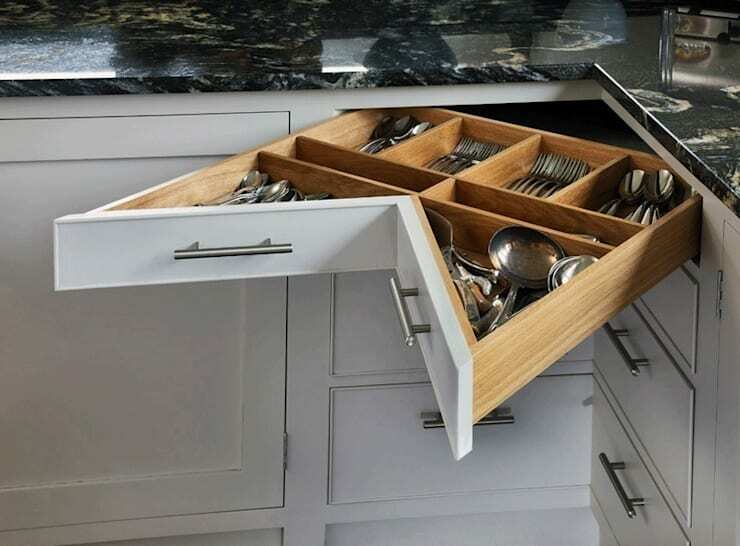 Instead of fiddling around with a less than helpful corner drawer, retrofit some handy joinery that will make the most of your awkward corner cupboard. Would any of these solutions work in your home?